In situations when the markets take a downturn, many of us may feel a strong impulse to simply do something to make things better. 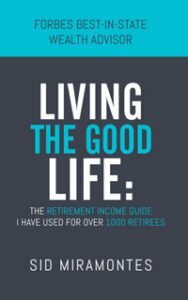 It’s a human reaction, and for those who have already retired, that impulse may feel like a dire need to make things right. When your investments represent a sizeable portion of your income, those market fluctuations hurt. In these situations, what can we do? Making changes to your portfolio is not ideal after a big dip in the markets. If we want to minimize the damage of these situations, the short answer is to prepare ahead of time. As a retirement planner, I’ve helped many individuals in Newport Beach and the surrounding areas prepare their portfolios, and over time have realized the best solution to the problem of a market downturn is a proactively planned portfolio. For this post, I wanted to list a few of the distinguishing strategies that result in a stable portfolio. Bonds—Through thick and thin, bonds go far in giving your portfolio stability. Compared to stocks that take a beating in a downturn, bond investments fare much better. Keep three months of cash—Most market downturns don’t develop into a Great Recession. Having just a three-month buffer of liquid assets on hand can help you avoid the unfortunate need to sell off stocks in the event of temporary volatility. Dividend Mutual Funds—Factoring in whether or not a mutual fund pays dividends can help you decide on which to go for. These dividends can make up a steady stream of income that may add some stability to your situation in a volatile market. With retirement in mind, the approach has to be a long-term one. As we said, one important thing to consider is safeguarding your investments through adequate planning before the downturn happens, but also importantly, in a downturn, be careful not to let your desire to protect your nest egg manifest itself in knee-jerk reactions that don’t stand the long-term test, such as selling off too much of a stock at a loss, in order to reinvest. The goal is to let planning take out the emotion of your portfolio decisions. 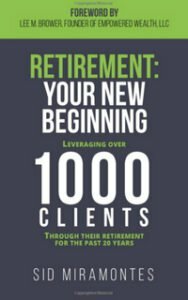 If you’re in the Newport Beach area and are looking for a retirement planner to assist in the portfolio development process, give us a call today.